Hooray! 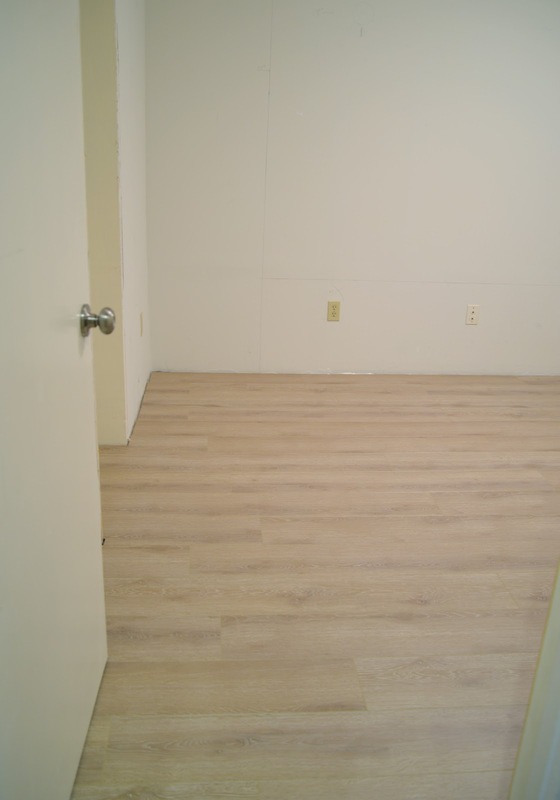 The flooring in the soon-to-be crafts room is in! 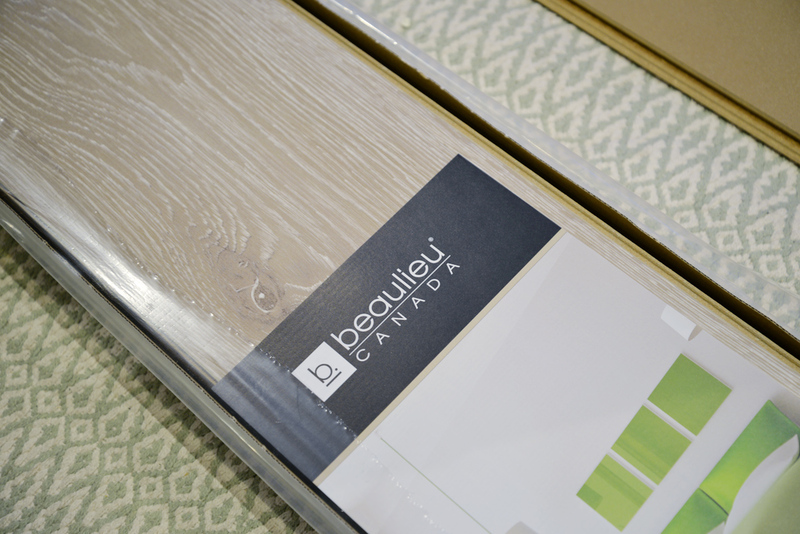 On the last post, I shared with you some of our flooring options from Beaulieu Canada. What did we select? Smoked, a beige-taupe Oak laminate! What is the best flooring for a basement cement floor? Most any type of flooring that has moisture resistant properties can be installed in a basement. Ceramic tile, engineered hardwood, and laminate are all reliable choices. Style-wise, we liked the white washed look of the laminate and the fact that the striations and knots weren't very pronounced. 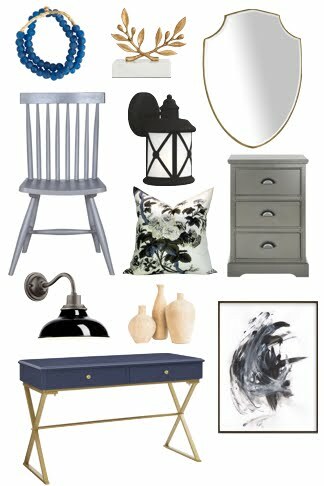 It will give the basement the light and airy feel I'm hoping for. 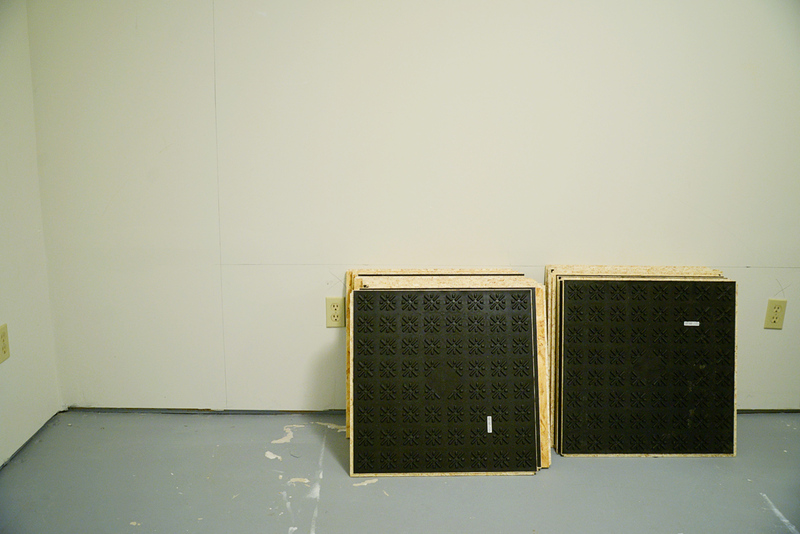 The wider plank (these are 7.3") feels more modern as well. The laminate should also be very durable. It's at the high end for thickness (11mm), is resistant to spills and indentation, and easy to maintain. 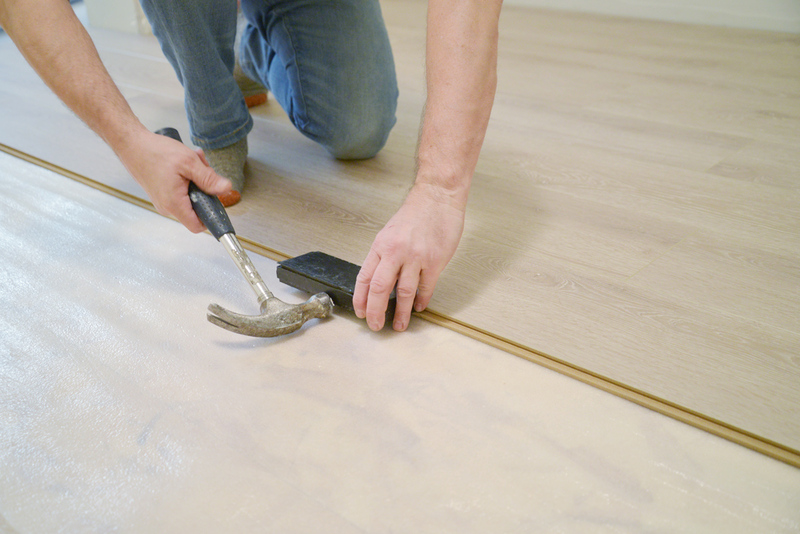 Do you need a subfloor under laminate in the basement? The short answer is yes. Concrete slabs are porous and prone to moisture . You'll need a vapour barrier beneath your laminate. We used DRIcore subfloor panels on top of the concrete floor. Installation was very easy. The panels lock into one another to form a seamless surface. Does your laminate flooring feel bouncy? 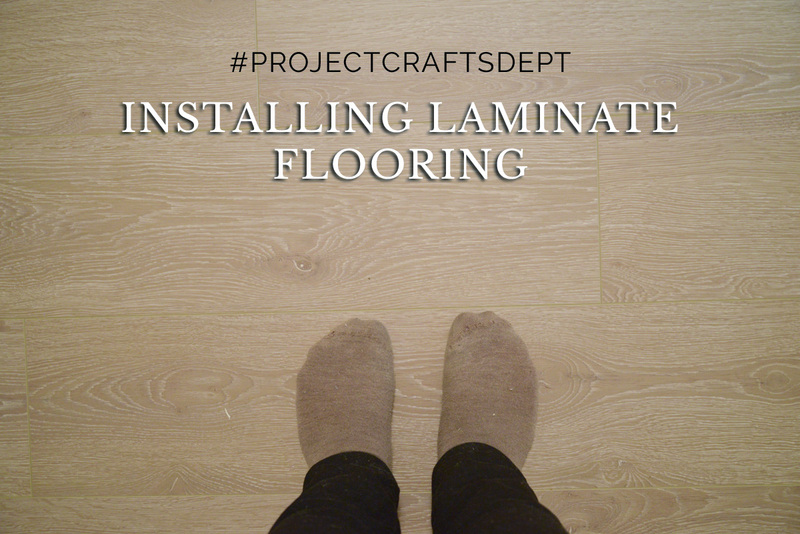 Now is the time - before the laminate is installed - to fix any potential issues. Our floor is pretty level with no big noticeable dips. 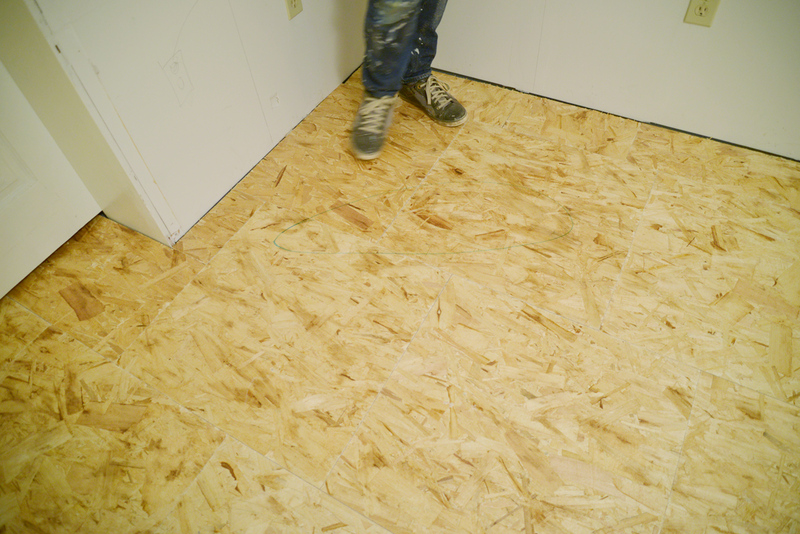 However, once the subfloor went in, we noticed a few spots with a bit of "bounce". You can see one area outlined in faint green marker in the photo below, just in front of Sean's feet. Using a trick learned from a contractor, Sean drilled a few holes into the bouncy area and then sprayed in a little bit of insulating foam. 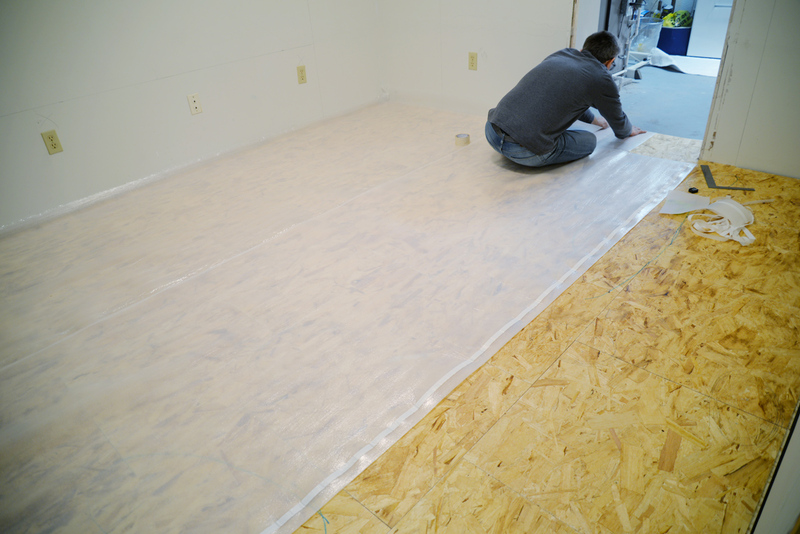 He placed a case of flooring on top of the holes to hold down the subfloor as it hardened overnight. By the next day, the subfloor was solid and level. 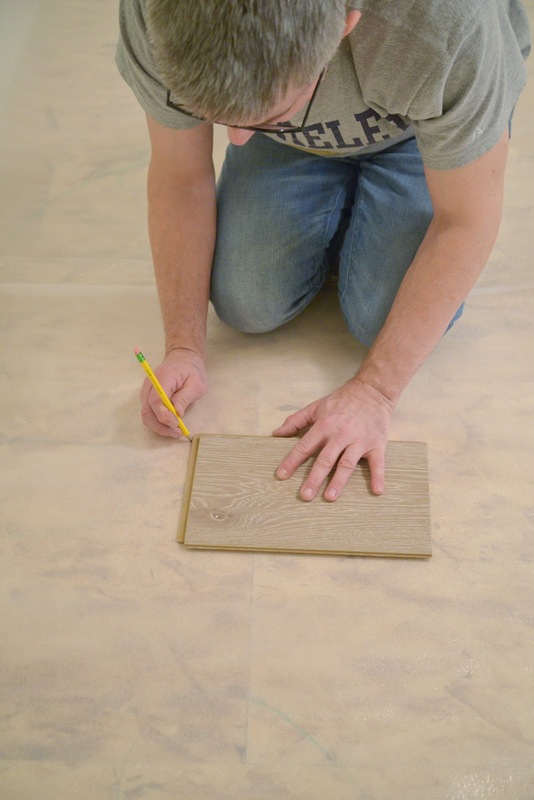 This foam underlayment, ideal for laminate flooring, is designed to provide both moisture protection and cushioning under the floating floor. With some pre-planning, you can save yourself headaches down the road. Starting at the long wall and moving towards the entry door, Sean did a rough estimation of how many rows of planks it would take to cover the room. Ideally, you don't want any cut plank to be less than 2" in width. If the last row of planks is less than 2", you'll want to cut the first row of planks to make it narrower so that the last row will end up wider. This is the same tip we use when laying tile. 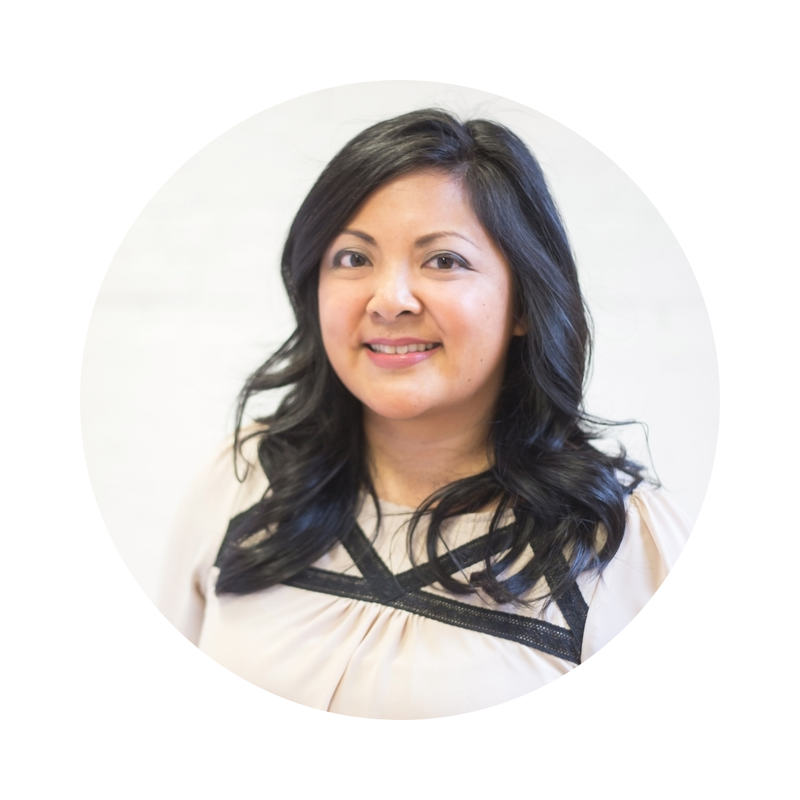 You don't want the first or last row of materials to be too narrow. There are many types of laminate with different ways of "locking" the planks together. Our Smoked laminate had an angle to angle locking system. Basically, we would install the short edge into the previous plank, tilt both boards upward, then push the long edge into the previous row. Lastly, we'd use a tapping block to ensure the fit was tight and there were no gaps between rows. And just like that, #ProjectCraftsDept is starting to look like a real room! 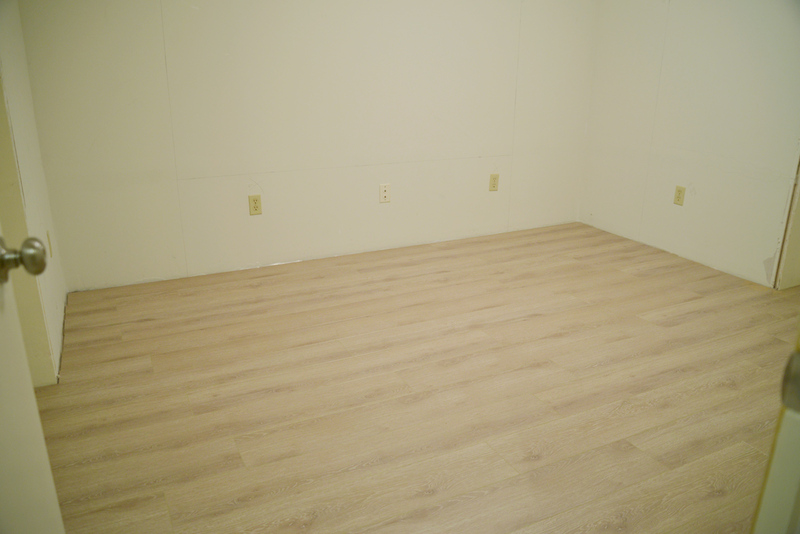 The creamy paint and poor lighting in the room are making the flooring look more yellow than it is in person. Are you curious as to what the cabinets will look like? I'll be sharing that with you next! Disclosure: This flooring project has been sponsored by Beaulieu Canada. All opinions are my own. Thank you for supporting the brands that make this blog possible.